The department of Economics and Business is committed to providing our talented and diverse student body with an excellent education that is grounded in leadership, service, and community engagement. We offer majors in Economics, Business Administration and Management, and Finance, as well as a Masters in Economics. You can also minor in either Economics or Business Administration and Management. Follow the department of Economics and Business for updates on our dynamic community in Harlem, USA! Together, we can make the world a better place. Follow the department of Economics and Business for updates on our dynamic community in Harlem, USA! Together, we can make the world a better place. The Department of Psychology trains leaders in the science and practice of psychology. The department offers a range of undergraduate and graduate programs in the fields of alcohol and substance abuse, mental health counseling, clinical psychology, general psychology and work psychology. Field work is an essential part of most programs and puts the classroom learning into real-life situations. THE PSYCHOLOGY DEPARTMENT IS VERY PLEASED TO ANNOUNCE THAT WE ARE NOW CONFERRING DOCTORAL DEGREES IN CLINICAL PSYCHOLOGY HERE AT CITY COLLEGE. WE WELCOME THE INCOMING 2018 CLASS! Hours are being updated and are subject to change. Please call the Psychology Office at x5442 with questions and clarifications, for available advising hours, or contact advisors directly. Sophie Barrett: NA 7/214, x5900 sbarrett@ccny.cuny.edu - hours coming soon! Brett Silverstein: NA 7/120A, x5700 bsilverstein@ccny.cuny.edu - hours coming soon! Since human behavior is shaped by social factors, the subject matter of sociology ranges from the intimate family to the hostile mob; from organized crime to religious cults; from the divisions of race, gender and social class to the shared beliefs of a common culture; and from the sociology of work to the sociology of sports. In fact, few fields have such broad scope and relevance for research, theory, and application of knowledge. Sociologists provide many distinctive perspectives on the world, generating new ideas and critiquing the old. The field also offers a range of research techniques that can be applied to virtually any aspect of social life: street crime and delinquency, corporate downsizing, how people express emotions, welfare or education reform, how families differ and flourish, or problems of peace and war. The Anthropology program explores the widest possible definition of human diversity through research, history and comparative analysis to better comprehend future trends as well. The Women's Studies Program engages students in the discovery and exploration of feminist perspectives on culture and society. Focusing on the intersections of gender, race, ethnicity, class, sexuality, and nation, the program introduces students to the social, cultural, scientific, and other contributions of women, and the production of feminist knowledge. The program's curricular and extracurricular activities are both grounded in multiple feminisms and interdisciplinary approaches to feminist thought. WS supports and sponsors on- and off-campus events relevant to women's social, cultural, and political issues, particularly women in the New York City area.Thus, the program emphasizes the importance of social responsibility, activism, community outreach, and responsible citizenship. The Women's Studies Program offers an interdisciplinary undergraduate minor. — ~ Malini Dhanraj, WS Minor. The goal of this program is intended to be an intensive engagement in the critical work of developing political solidarities between young women* of color. The program combines elements of Teaching (learning identity-driven research from activist-scholars studying immigration, social movements, protest, gender and violence), Writing (nonfiction narrative writing and political writing from well-established writers from around the world), Activism (movement-building workshops from community organizers), and Public Engagement through student-driven public events, the submission of student’s writing for publication, and the presentation of research findings to local and national policy audiences. The International Studies Program at the Colin Powell School for Civic and Global Leadership prepares students for careers in a wide array of fields, from diplomacy and global governance to NGOs and multinational corporations. 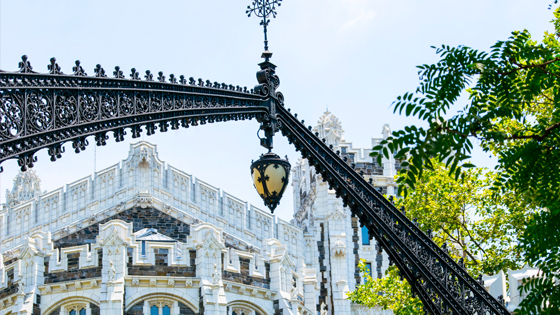 The International Studies major offers a flexible curriculum, in which students take classes with faculty across many departments and programs at CCNY, including Anthropology, Black Studies, Economics, History, Latin American and Latino Studies, Political Science, and Sociology. The Program draws on the rich diversity of City College's student body as well as on the academic, institutional, and cultural resources of New York City to give students the skills and experience necessary to engage with the most pressing international and global issues of our day.